The ceremonial opening of the Janáček Theatre is approaching. The theatre will be opening after reconstruction with a premiere of the opera The Cunning Little Vixen, which will also open the 6th year of the Janáček Brno 2018 international opera and music festival, which this year is dedicated to the centenary of the founding of the republic. In the course of the festival all the stage works Leoš Janáček will be performed in productions by such world-famous figures as Ivo van Hove, Robert Carsen, Kornél Mundruczó and Alvis Hermanis. Tomáš Hanus, Tomáš Netopil and Marko Ivanović will be taking their places on the conductor’s podium. The operatic production of The Cunning Little Vixen is the work of the director Jiří Heřman and the musical staging is by Marko Ivanović. The title roles will be taken by Jana Šrejma Kačírková or Michaela Kušteková, Václava Krejčí Housková alternating with Jana Hrochová and Svatopluk Sem with Jiří Sulženek. The public celebratory ceremony will begin on the piazzetta in front of the Janáček Theatre. 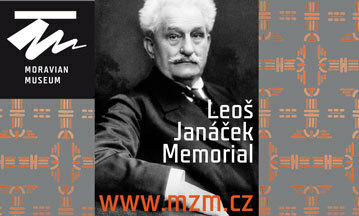 The international music festival dedicated to the works of Leoš Janáček is now entering its 6th year and this one, dedicated to the centenary of Czech statehood, will be truly exceptional! Audiences will enjoy complete performances of all Janáček’s stage works in productions by the foremost foreign ensembles as well as all three Czech national theatres. For the first time the Welsh National Opera will be performing in the Czech Republic, bringing a production of From the House of the Dead by David Pountney while the Flemish Opera will offer the The Makropulos Affair by the famous Hungarian film director Kornél Mundruczó. Coming with these foreign ensembles will be the excellent Czech conductors Tomáš Hanus and Tomáš Netopil. The Stanislav Moniusko National Theatre from Poznan will be performing the famous Jenůfa by Alvis Hermanis, inspired by the works of Alfons Mucha. This rich series will also offer two major symphonic concerts which will include also the less often performed Janáček cantatas Amarus and Na Soláni čarták as well as a range of chamber concerts with excellent interpreters, such as example the famous British composer Thomas Adès, who will be performing as a pianist in a solo recital, Simona Houda-Šaturova, the Pavel Haas Quartet, etc. There will also be the traditional third series for lovers of Moravian folk, dedicated to Janáček’s collectors of folk music. Not only the programme but also the venues are linked to Brno’s history from the beginning of the 20th century and throughout the festival the will be music and plays in places such as the Brno Exhibition Centre, Stadion Kounicova, the Löw-Beer Villa and the Leoš Janáček Memorial. As is now traditional the opening of the festival will be left to the organising ensemble of the Janáček Opera of the National Theatre in Brno. This 6th year will be the all the more important because together with the festival they will also be opening the newly reconstructed building for their Janáček Theatre with the opera The Cunning Little Vixen, with which it originally opened in 1965. The premiere of the opera The Cunning Little Vixen and the ceremonial opening are planned for Saturday 17 November at 7 p.m. in the Janáček Theatre in Brno. The ceremonial opening on the piazzetta in front of the Janáček Theatre will begin at 6 p.m. The new production is the work of the director and artistic head of the Janáček Opera of the National Theatre in Brno Jiří Heřman. “I know of no more colourful and lively music than Janáček’s. The Cunning Little Vixen always captured me with its prickly and warm seriousness – it is a celebration of our life, which is beautiful, and we must never forget this beauty of creation. Janáček left us with eternal inspiration for life with all its joys and sorrows. For the opening of the festival and celebration of the hundredth birthday of our state there is no better theme and music!” comments Jiří Heřman. 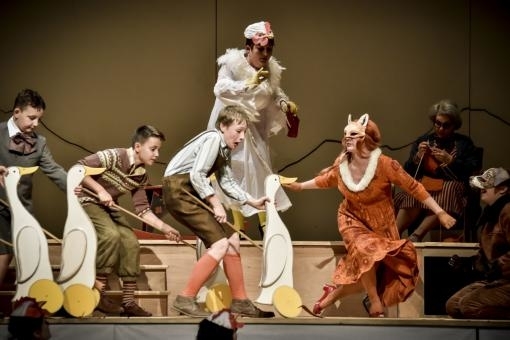 For the chief conductor of the Janáček Opera of the National Theatre in Brno Marko Ivanović The Cunning Little Vixen is already the third of Janáče­k’s operas which he has staged musically. The main roles are taken mainly by the soloists of the Brno company. The role of Bystrouška is taken by Jana Šrejma Ka­čírková with Michaela Kušteková, who will be making her debut on the Brno stage, and Gold-Spur (the Fox) will be played by Václava Krejčí Housková together with Jana Hrochová. The role of the Forester will be taken by our permanent guest Svatopluk Sem together with Jiří Sulženek. The National Opera in Brno is part of the international project Opera Vision, which broadcasts live performances on a web platform from more than thirty European opera houses. The first contribution of the Brno company will be a live transmission from the performance of The Cunning Little Vixen on 18 November 2018 as part of the festival. The main partner for the broadcast will be CzechTelevision, which is also making a recording of the production. You can watch it here. Part of the festival and the premiere of The Cunning Little Vixen is an exhibition of manuscripts and documents, during which on 19 – 21/11/2018 as a special opportunity the original Janáček manuscripts for the opera The Cunning Little Vixen will be available for viewing at the Leoš Janáček Memorial.